Launch of "Frongoch and 1916: Recreating a Lost Landscape"
L-R: Inspiring Ireland Project Creative Lead Caroline McGee, DRI Director Natalie Harrower, Director of the National Museum of Ireland Raghnall O'Floinn, Archivist and Culural Commentator Catriona Crowe, Chief Executive of the National Library Wales Linda Tomos and Director of the National Library Sandra Collins, at the launch of "Frongoch & 1916: Recreating a Lost Landscape". Photo: Paul Sherwood. On Tuesday December 6, 2016 - the 94th anniversary of the establishment of the Irish Free State - the launch of "Frongoch and 1916: Recreating a Lost Landscape" took place at the National Museum of Ireland – Decorative Arts and History. Supported by Department of Foreign Affairs and Trade (Ireland), the new series of digital exhibitions commemorates the internment of Irish prisoners at the Frongoch internment camp, Wales, in the aftermath of the 1916 Easter Rising. 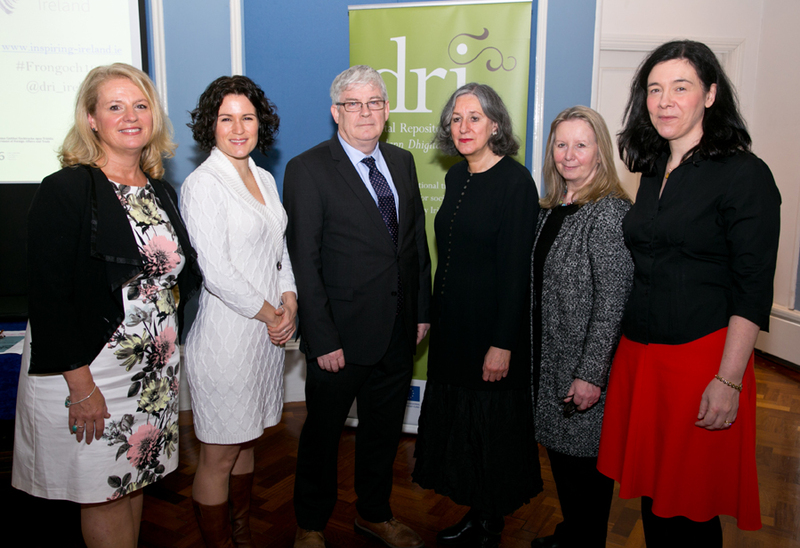 Archivist and Cultural Commentator Catriona Crowe officially launched the exhibitions, along with DRI Director Natalie Harrower, Director of the National Library of Ireland Sandra Collins, Director of the National Museum Raghnall O'Floinn, Chief Executive of the National Library Wales Linda Tomos and Project Creative Lead for Inspiring Ireland 1916 Caroline McGee. The launch was attended by staff from the cultural institutions, as well as press, colleagues, friends and family members of some of the original Frongoch inmates. 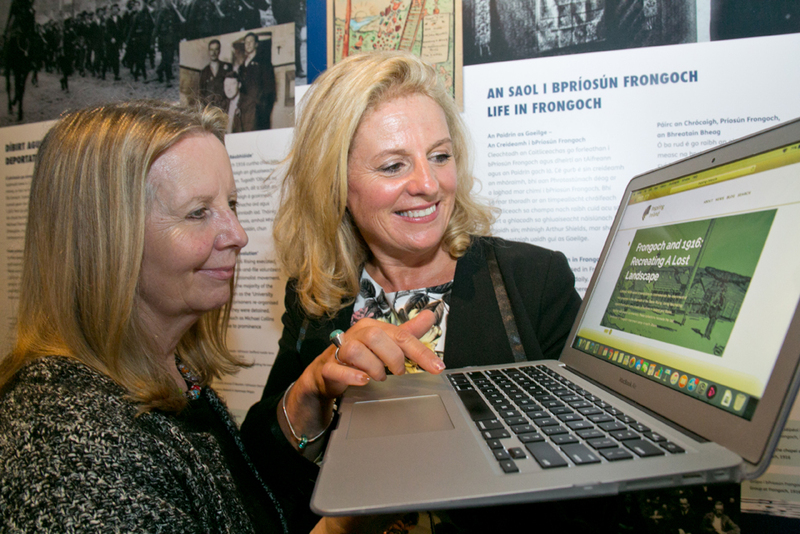 Linda Tomos, Chief Executive of the National Library Wales, and Caroline McGee, Project Creative Lead for Inspiring Ireland 1916, at the launch of "Frongoch & 1916: Recreating a Lost Landscape". Photo: Paul Sherwood. The exhibitions are arranged along four themes, each including essays by expert commentators. The first exhibition, "Enemies of the Crown" looks at the background and context of how 1916 rebels came to be imprisoned in Frongoch and includes an essay by Dr William Murphy of the Department of History and Geography at Dublin City University. Follow-up exhibitions look at "Representing the Revolution" and "Writing the Revolution" and include essays by Joanna Brück, Reader in Archaeology at the University of Bristol and Dr. Darragh Gannon, Research Associate at the National Museum of Ireland, Collins Barracks.